Twisted X Brewing Company is proudly organized as a Texas Corporation for the purpose of manufacturing and selling craft beer. 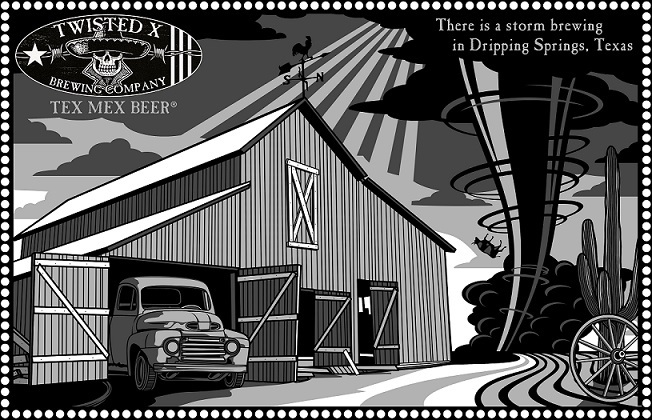 Twisted X is the maker of a unique, hand-crafted set of Mexican style beer made in Texas with a twist we call Tex Mex Beer®. Our beer appeals to both the American and Mexican beer drinking markets while still following the traditional craft brewing guidelines. The company was founded in 2009 and has been selling beer to the local market since May 5th, 2011. Over the past two years, we have been planning and building our new much larger nearly 10,000 sq. ft. Hill Country Destination Style brewery location in Dripping Springs, Texas. It’s now time to celebrate this with a Grand Opening Party Texas style. 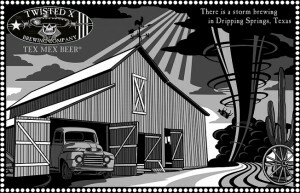 What: Twisted X Brewing Co. – Hill Country Destination Location – Grand Re-Opening Party – MAX 1500 Tickets Sold – No Exceptions! Tickets: All tickets (100%) will be presold on the Eventbrite website – (ZERO) NO TICKETS WILL BE SOLD AT THE DOOR! 6:00pm: Parking Lot Closes – Must be out by dark! *** We love them but NO PETS please, sorry. The Year of Texas Beer Festivals! Copyright © Texas Beer Guide.